You are looking at the Murphy mechanical gauges in the engine room. 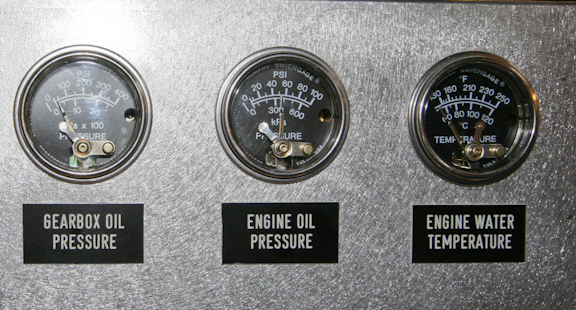 Notice that the center “Engine Oil Pressure” is reading 50 PSI. The engine is being tested (along with all the other systems). Meanwhile the interior is starting to have its protective coverings removed. We are looking here at the aft guest cabin, from the aft end forward. Head compartments are notoriously hard to photograph. 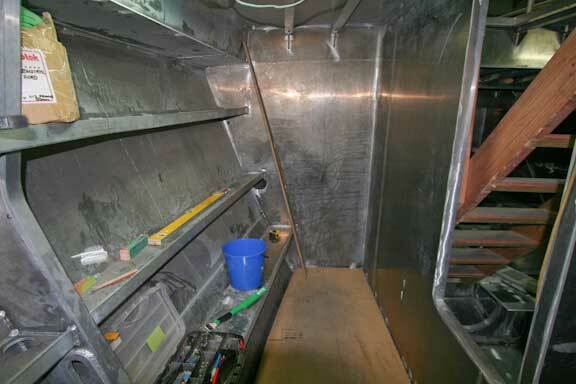 This is the aft head area. The aft section of the office. Still in the office, only now looking at the forward end of the desk. There is lots of room for full sized monitors. 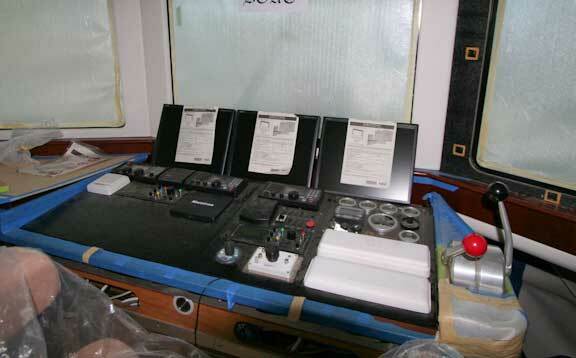 For example, the first boat will have a 27″ Apple Imac + a 30″ Cinema display on the desk. This will give you an idea of the electronics layout with the three monitors in place. The monitors are for charting, radar, and sonar. Moving to the next bay in the shop, FPB 64 #3 is shown here. An interesting view of the anchor sprit and the fairlead for snubber lines, etc. 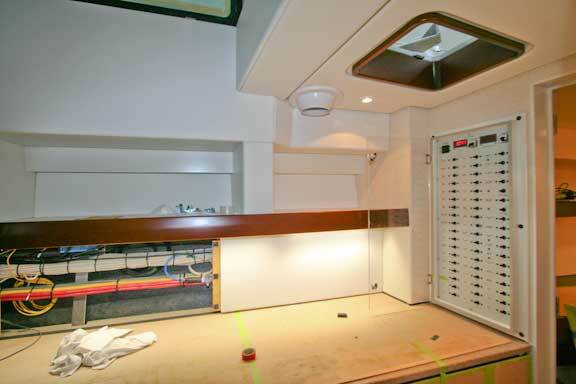 Still on FPB 64 #3, this is the aft starboard cabin adjacent to the engine room. 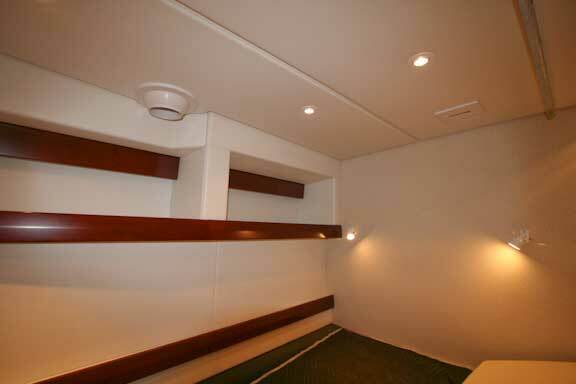 The topside stiffeners are incorporated into the interior design. 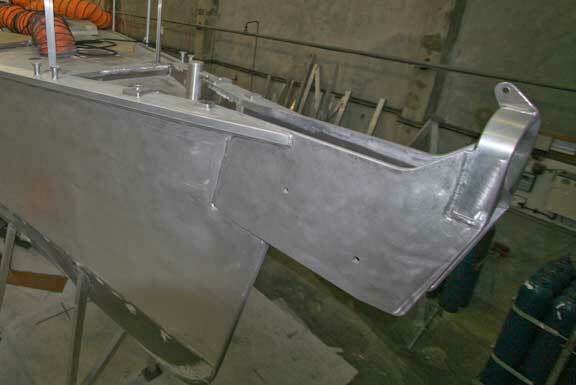 We’ll close with this photo of the fuel tank area on FPB 64 #4. Note the tight baffling in both directions. This close spacing of baffles reduces liquid movement which has a positive impact on noise and motion. 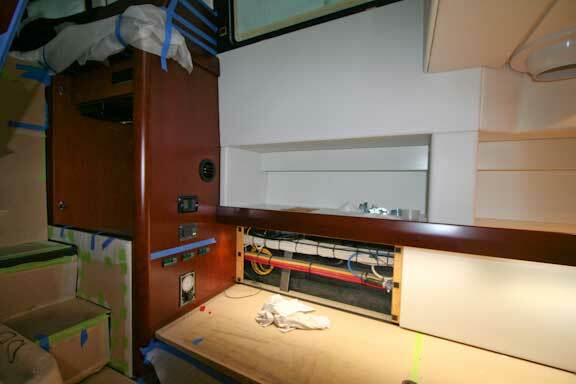 Check back often as we’ll be posting photos as the interior of the first FPB 64 is exposed. This entry was posted on Monday, March 8th, 2010 at 4:30 pm and is filed under FPB 64 Updates. Both comments and pings are currently closed. Great picture of the baffle system. How would you plan to clean the tank, should the fuel become fouled? 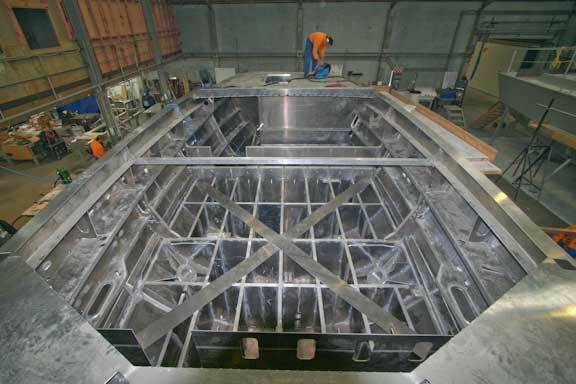 I don’t see placing inspection ports over each baffle area. Is there a central sump to clean out? 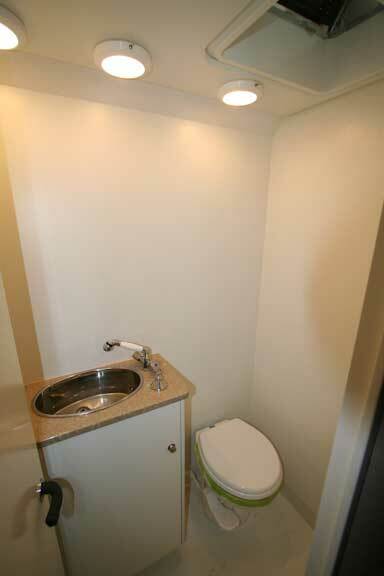 Each tank has a large clean out port over the low spot. The day tank in the engine room, which is where condensation can be an issue, has a large sump with a plugged valve.